Hand dyed sock yarn. 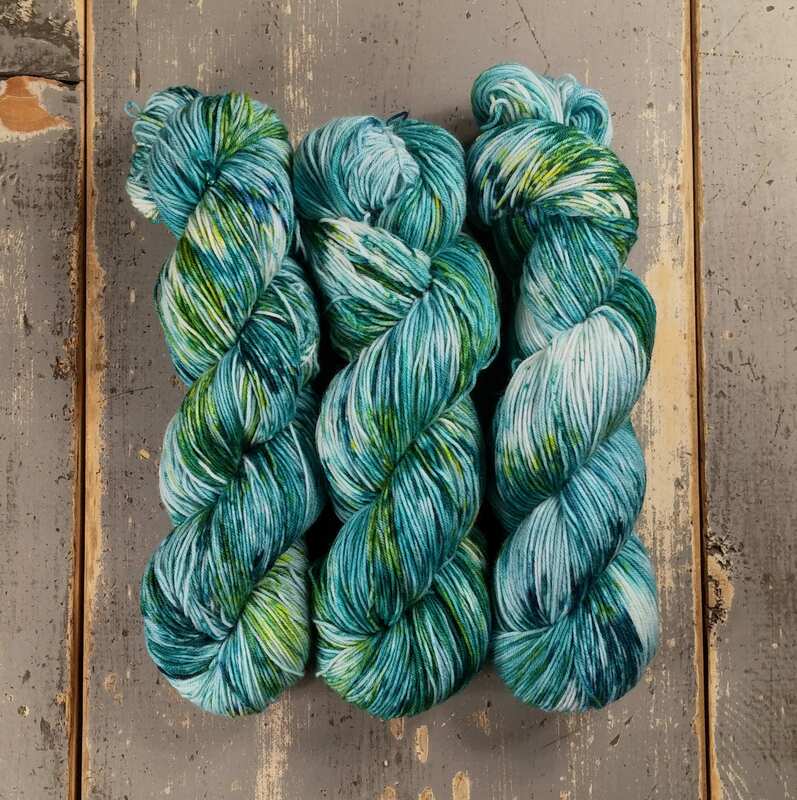 This yarn is dyed in a semi solid teal with a hint of blue and some lighter to white areas. It is speckled with more rich teal green, a few specks of dark blue, and some yellow/green. This listing is for 1 skein of Staple Sock. The yarn is beautiful and arrived quickly! So so beautiful! The seller was responsive and took the time to listen to my request, thank you! !